AMC’s Hell on Wheels season 2 is casting for extras in the Calgary Area so I went and tried out. I’l let you know how it goes. High Noon Entertainment is currently looking to develop a new series around the railroad yards of the North East & Great Lake areas. The show will focus on the individuals who work for the railways (getting a glimpse into their everyday lives). They are in the very early stages of development so any insight in finding the right railway/railroad or crew of railroad employees would be greatly appreciated. This will be a format for shows very commonly seen on the Discovery Channel or National Geographic. It would be fantastic to find employees/crews that know each other but it’s not a deal breaker if they do not. If you can recommend anyone or the best way to find candidates for this series, please let Casting Director Dominique Bouchard know. Anyone interested or who may have questions can reach out to dbouchard@highnoontv.com or email their number and Dominique will call them directly. Interested individuals should send a recent photo along with their name, age, contact info, and area of expertise. National Train Day is done for 2012. Over 50 citizens welcomed the train on Saturday with bags filled with information as well as giveaways. Then the city mayor and three others boarded the train and rode it to the next stop. They passed out over 100 bags to the riders, some for the adults and some for the children. We had 1300 people at the event. We had 100 last year. We had a great day on Saturday at our third annual National Train Day Celebration at the West Barnstable Train Station and Historical Museum – dozens of visitors to the train station all day; Mass Coastal sent down railroad equipment – two sonow plows and a ballast regulator for display on the siding; a total of 60 passengers took scenic train rides on Cape Cod Central from the West Barnstable Train Station to the Cape Cod Canal and return; and all visitors received a safety awareness presentation and tokens from Operation Lifesaver representative. It was the best time. We were open from 11:00 AM to 4:00 PM and had a steady flow of visitors all day, about 125 in total. We were especially gratified at the large number that hung out with us for an hour or two, and by the kids that just didn’t want to leave – ever! Anyway, the NTD event in Williams, AZ ran Saturday and Sunday and we figure it drew 1000 people on Saturday and 500 on Sunday. It features an hourly running of Grand Canyon Railway’s steamer #4960 on a 45 minute trip. People could also take a tour of the railway’s locomotive shop. 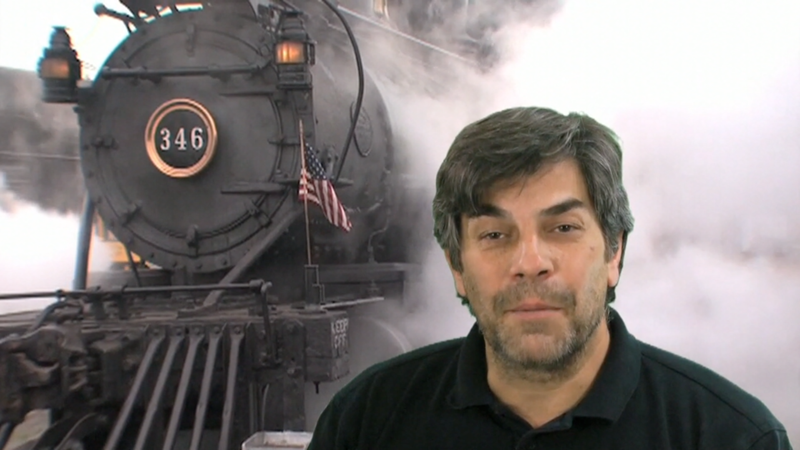 The Colorado Railroad Museum – Steam Up! Robert W. Richardson and Cornelius W. Hauck opened the Colorado Railroad Museum in 1959. Then, and now, our mission is dedicated to preserving for future generations a tangible record of Colorado’s dynamic railroad era and particularly its pioneering, narrow gauge mountain railroads.